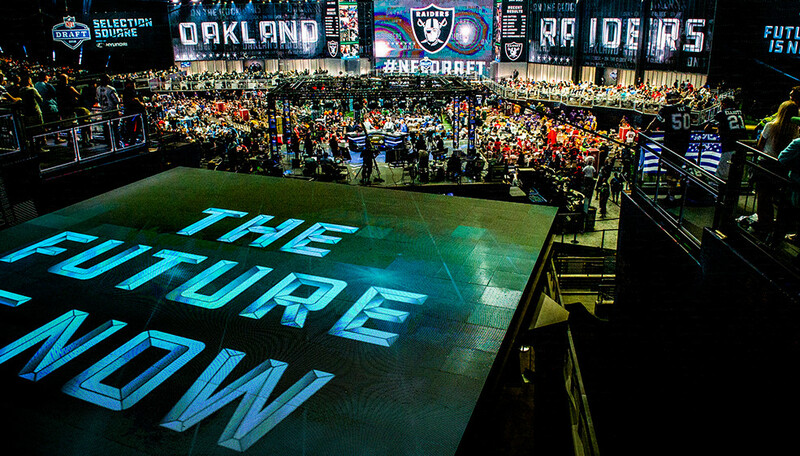 The NFL Draft is a cornerstone event for any football fan. It’s the culmination of the hopes and dreams for a successful season with the selection of fresh, new talent for their favorite teams. 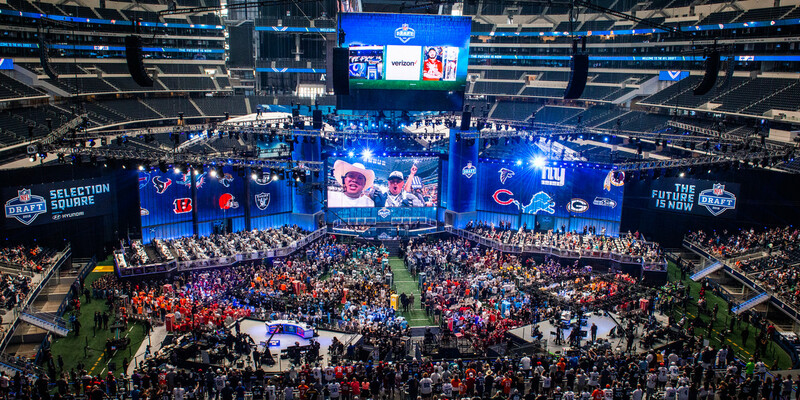 Broadcast on national television, the NFL wants the annual Draft weekend to be a memorable production that builds excitement and enthusiasm around the game. For the first time ever, this large, complex, multi-day production would be held in one of the largest football stadiums in the country: AT&T Stadium in Arlington, TX, home of the Dallas Cowboys. Working collaboratively with the NFL’s production company and various other vendors, we helped build an experience not to be forgotten. With the stage planted firmly on the stadium’s 40-yard line, fans and the media would occupy half the stadium — from the field, all the way to the 400-level seats. As a result, the production design needed to be massive, immersive — and look amazing on TV. Freeman was responsible for all video display and audio playback inside the stadium. Over 2,000 LED panels formed a tremendously large playback space, stretching across the field and soaring 40 to 70 feet high. 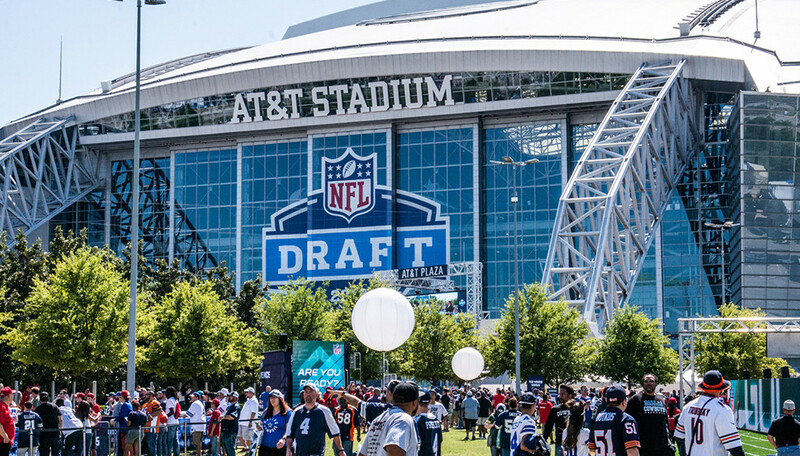 We worked closely with all members of the vendor network in the weeks and months leading up to the Draft, ironing out intricate details to ensure a smooth move-in and production. In the end, 34 technicians worked tirelessly over a two week period to ensure a successful installation. One of the most complicated productions ever to come to AT&T Stadium went off seamlessly. Our production experts quickly and efficiently built the production. 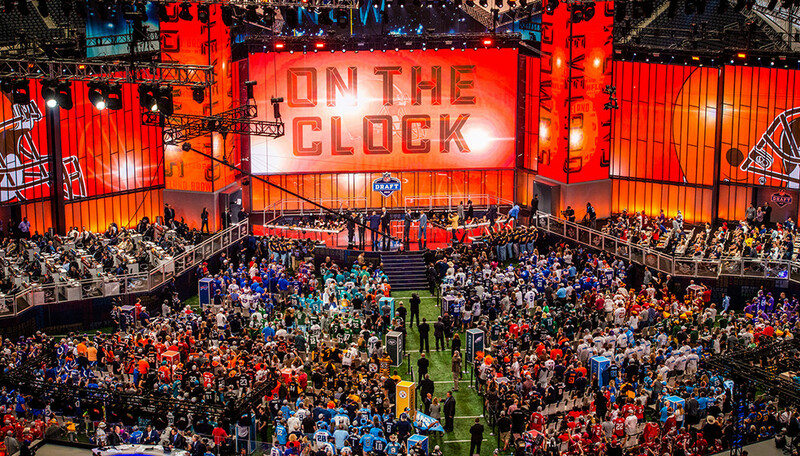 The audio quality was top notch, receiving rave reviews from a local sports talk radio station, while the LED display we provided served as a dynamic, ever-changing background for the Host Broadcasters, building the anticipation until those famous words: The pick is in.